Growing older can bring special needs - physical, emotional, social. For many seniors, quality of life depends on achieving the right balance between home comforts, personal interests and the need for continuing, accessible health services. At Regency Park, we understand the importance of balance. Therefore, we have created a community that surrounds each senior with not only the best in residential living, but with high-quality, personalized health services. Our concept provides a total approach to senior living that centers around the individual. From simply lending a helping hand to providing higher levels of continuing assistance, our unique combination of care and comfort creates an environment that supports every facet of a resident's life- both today and tomorrow- and ultimately leads to greater daily satisfaction. From its classic facade to its gracious interior decor, Regency Park has the invitingly familiar look and feel of home. Yet every aspect has been carefully planned to create a safe and secure environment for residents and to ensure swift and efficient delivery of highly personalized services. Each suite features a range of modern amenities, including private bath with shower, private telephone and cable television access. 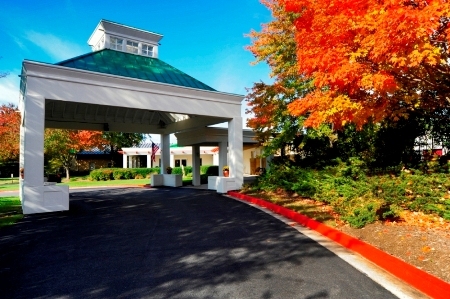 Residents enjoy the convenience of weekly housekeeping and linen service- and the security of a 24-hour emergency response system. Plus, a concierge stands ready to assist residents with special arrangements and requests. Delicious meals are served in the community's fine dining room, with an attentive wait staff. Menus are coordinated by a registered dietitian to ensure proper nutrition. Enlivening the daily fare are festive "theme" meals. Residents can use our private dining room for entertaining family and friends. 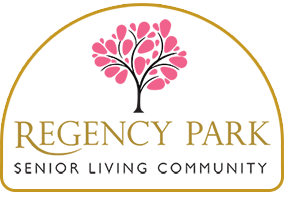 Regency Park is a residence rich in social and cultural activities. A full-time Social Director creates a comprehensive schedule of activities including arts and crafts, exercise classes, games, movies, shopping trips and numerous other social events.